Thanksgiving is a great time for all the family and one where all are involved in the celebrations and festivities. If your guinea pig is very much part of your family then it is nice to keep them involved somehow in whatever way we can. Even if they don’t really understand what is going on. It is more for our benefit than anything. So if you are wondering how to include your guinea pig in thanksgiving, here are some ideas to get you started. Give them a guinea pig thanksgiving feast with a few vegetables that they will enjoy. Vegetables such as pumpkin, cranberries, Brussel sprouts, cabbage, sweet potato, green beans, corn, swede, parsnips, and carrots can be given to your piggie sparingly. Don’t give them too much as if they eat a lot, it really isn’t good for them. Create a nice Thanksgiving bowl for them out of a small pumpkin shell that they can eat their food out of. Pumpkin skin is fine for them to eat. Scoop out the pumpkin first and the seeds leaving the skin and separate the bottom part of the pumpkin to create a bowl for them. Don’t give them meat. Guinea pigs are not meat eaters as it is generally too full of fat and animal juices for them to eat. They will nibble at it but are not keen on meat as a food in general. Bring them into your home to be part of the celebration. Guinea pigs will enjoy being part of a social occasion if they are used to people. They will enjoy the warmth of your home and be being around people. If you’re going to give them a gift, make it hay-related. They love timothy hay, and the greener the hay you can get them the better. Why not treat them to a hay-related gift or simply purchase the best timothy hay like oxbox hay? You could try something cool and creative, like this guy! Can guinea pigs eat sycamore leaves? Unfortunately, they can eat them as they may make them unwell. A food to avoid feeding them. Can guinea pigs eat sultanas? Sultanas are a favorite snack of many that are eaten around the world. They are also eaten as a fruit and as part of culinary dishes. Guinea pigs can eat one or two but not too many. Sultanas are high in sugar and so too many sultanas is not good for them at all. They may make them unwell if they eat too many and so one or two will be sufficient for them. They will enjoy them as well. Can guinea pigs eat sunflower seeds? The sunflower seed is the fruit of the sunflower (Helianthus annuus). There are three types of commonly used sunflower seeds: linoleic (most common), high oleic, and NuSun developed for sunflower oil. Each variety has its own unique levels of monounsaturated, saturated, and polyunsaturated fats. As you can see, sunflower seeds contain a little water, a hint of salt, a huge amount of phosphorus, acidic content, and fat content. Sunflower seeds are just tooo high acidic and phosphorus content plus fat content to be eaten by guinea pigs. If they were to nibble one or two, they would be fine but they shouldn’t eat large amounts of them or part of their regular diet. Can guinea pigs eat string beans? String beans are also called green beans or snap beans and they are essentially the same variety of vegetable. They are known by their time of harvest when their pods are still green and filled with immature seeds. 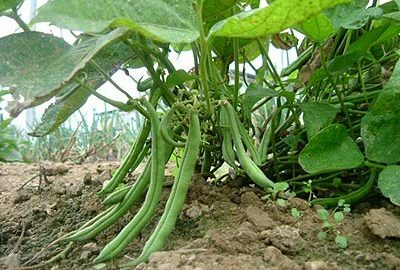 String beans are beloved by gardeners around the world for their ease of growth. They are typically eaten either raw or cooked. Yes, they can eat them in small amounts and guinea pigs will enjoy eating them as part of a well-balanced diet. Do not feed to them cooked though, just raw. They can eat it in small amounts. Just make sure that they don’t eat the skin or the seeds and just the flesh. The flesh needs to be cut up into small amounts for them to eat. They will enjoy it. Don’t feed them too much though, and give them only a few pieces at a time. 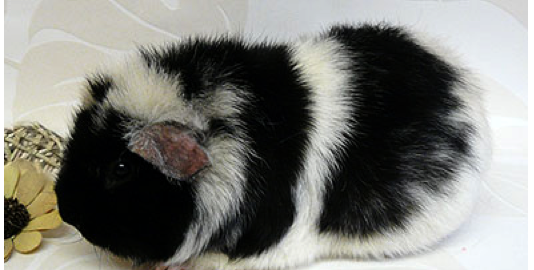 Can guinea pigs eat sow thistle? Sow thistles have the scientific name Cicerbita and are a genus of flowering plants in the aster family, Asteraceae, native to Asia and Europe. They are known commonly as blue sow thistles. The word Cicerbita is from the Italian, meaning “chickory-like”, a comparison to Cichorium, the chicory genus. Can guinea pigs eat snacks? it depends on what they are and what they contain. Can guinea pigs eat snow drops? Unfortunately, they can eat them. They may make them unwell if they are eaten and should be avoided as a food for them. Can guinea pigs eat snake beans? Can guinea pigs eat snap beans? Yes they can eat them in small amounts.